Are the exams really de-culturalized? 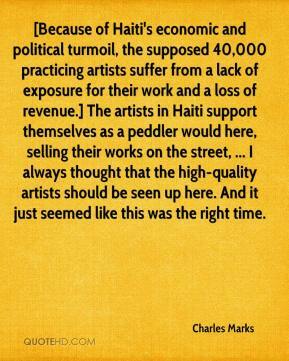 [Because of Haiti's economic and political turmoil, the supposed 40,000 practicing artists suffer from a lack of exposure for their work and a loss of revenue.] The artists in Haiti support themselves as a peddler would here, selling their works on the street, ... I always thought that the high-quality artists should be seen up here. And it just seemed like this was the right time. 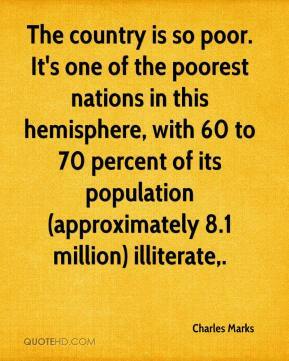 The country is so poor. It's one of the poorest nations in this hemisphere, with 60 to 70 percent of its population (approximately 8.1 million) illiterate. 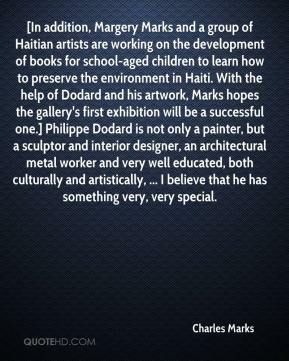 [In addition, Margery Marks and a group of Haitian artists are working on the development of books for school-aged children to learn how to preserve the environment in Haiti. With the help of Dodard and his artwork, Marks hopes the gallery's first exhibition will be a successful one.] Philippe Dodard is not only a painter, but a sculptor and interior designer, an architectural metal worker and very well educated, both culturally and artistically, ... I believe that he has something very, very special.